News — Peninsula Camera Club Inc. 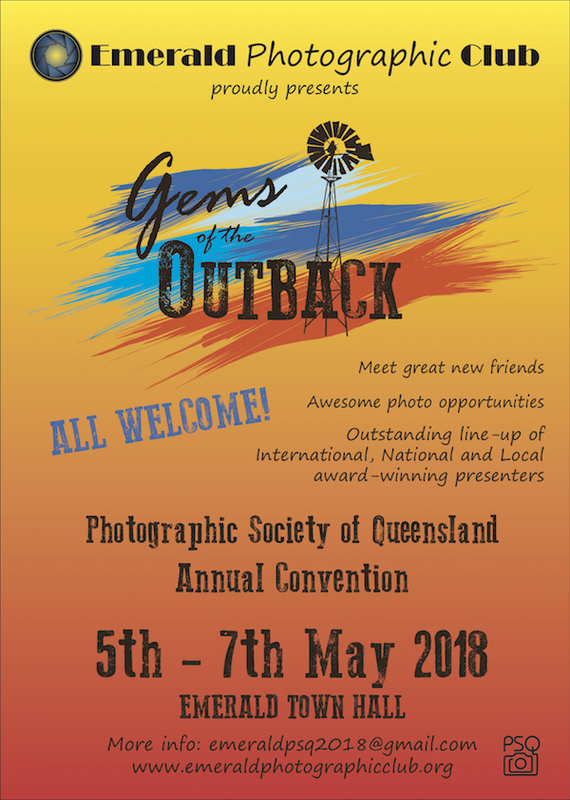 The Emerald Photographic Club Inc. is hosted the 2018 Gems of the Outback Photographic Convention on May 5th, 6th and 7th!! An exciting weekend of fabulous speakers, great workshops, awesome photo opportunities, and maybe even set aside time to find your own Gem of the Outback! An outstanding line up of national and international award winning presenters, who will be conducting workshops and sharing their amazing knowledge. Presenters include Steve Parish, Ken Drake and Dean Saffron. Emerald Photographic Club Inc. will also be hosting the Gems of the Outback Photography Competition and Exhibition alongside the conference. Competition categories are Fine Art, Creative, Night Photography, Panorama, and Traditions and Cultures. Pensinsula Interclub Projected Digital Competition is a friendly competition between Caboolture, Aspley and Peninsula clubs, now in it's 35th year. 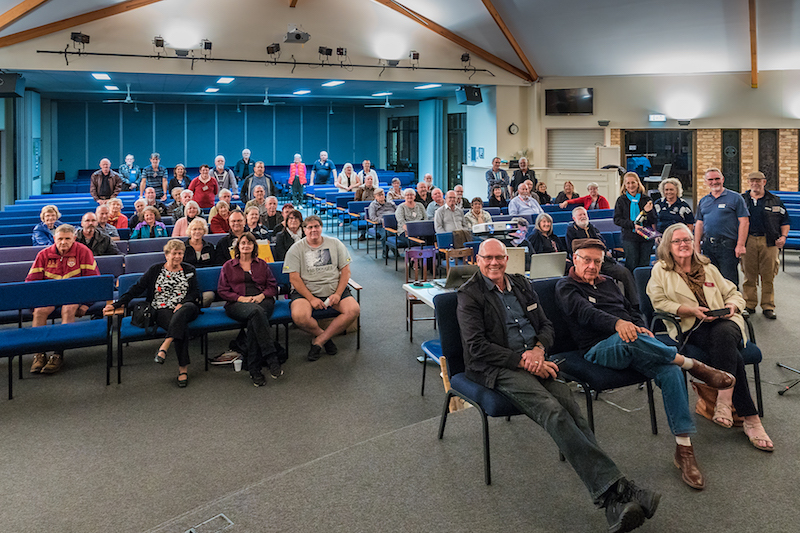 Held on 25th August 2017, in the large hall of the new Peninsula venue, Redcliffe Uniting Church, it gave members of the three clubs a chance to socialise and enjoy each other's photography. 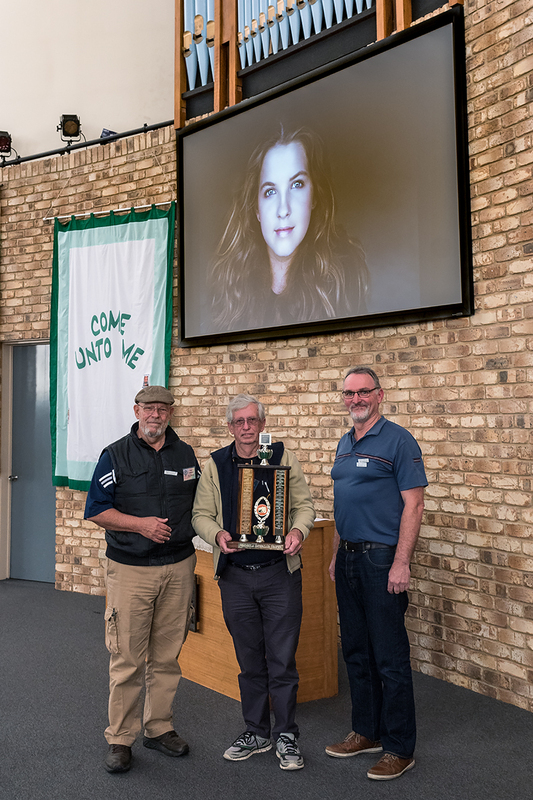 Aspley took out Champion Image 2017 with Beautiful Young Girl by Katy Robertson and just pipped Peninsula in the total points to claim the trophy. Final scores were Aspley 651 points, PCC 648 points, Caboolture 626 points, with Aspley taking the majority of firsts. Each club chooses an independent judge for an impact judging. Thanks this year, to judges Ralph Brown (Aspley), Wendy Geddes (Caboolture) and Warren Vievers (Peninsula) for their deliberations. After his engaging and wide ranging portrait photography talk (with many examples of shooting setups and finished images) at the club meeting on Friday 23 June, John Lomas lead an eminently practical indoor/outdoor portrait photography workshop on Sunday 25 June. Peter O’Brien and Rae Stanaway also shared their knowledge of studio flash and natural light portraiture. Can’t thank all the models enough for their co-operation and patience. There was a fine selection of props (including a motorcycle and rider who looked the part). We had so many shooting opportunities and individual advice from the workshop leaders on any aspect of setup, camera and settings, working with models, lighting and staging options. It was a great day for all and I hope we’re all treasuring the great shots we got. Quite peaceful on a near full moon, the cemetery night shoot on Saturday 11th Feb was a pleasant change from the searing heat of late. I have to thank the photo-bomber for the splash of headlights in this pic, though. Friday 3rd February at Redcliffe Art Gallery saw a packed house for the opening of the "Near and Far" exhibition by the Fine Monochrome Print Group. Photographers featured include names well known to Peninsula Camera Club – Ian Hanger, Fred Hunt, Elizabeth Kodela, Mick Lord, Peter Marendy, Julian Pearce, Dmytro Poplavskiy, Marion Rodgers, Richard Stringer, Murray Thompson and Warren Vievers. 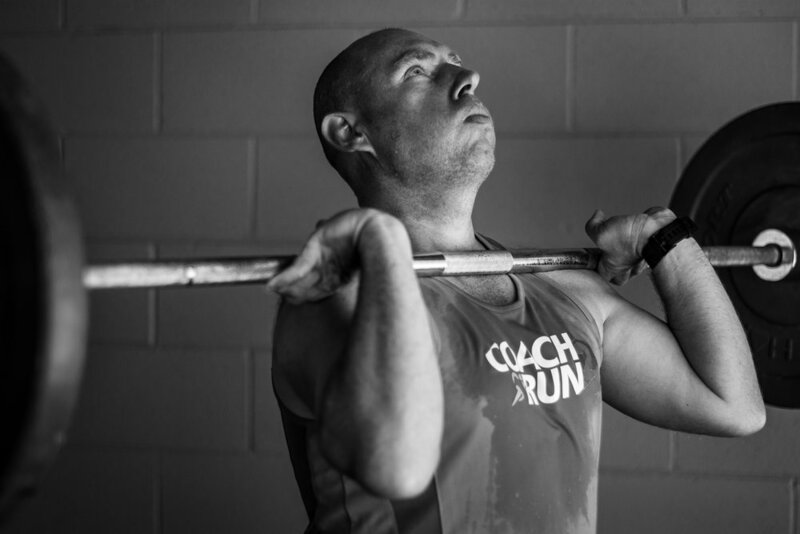 You might have noticed our Patron, Dr Peter Marendy in that list. Stunning prints and techniques on display. Well worth a visit, if you couldn't make the opening. You won't see Bob Britcher experimenting with a new technique of his own, Tablet photography, but Iceland, Warren Vievers' Orton technique, Marion Rodgers' infrared and Mordan Cage are among many stand-out exhibits. Thanks to our members who took time out of their busy schedules to join us on our slide night for the assessment of the proposed alternate venue (Uniting Church – Redcliffe) for our club meetings, particularly as it was back to public school Tuesday. Thank you also to those who called me with their apologies at being unable to attend and a special thank you to John Quixley for his most informative demonstration. I shall extend our gratitude to Rev Paul Clark who so graciously allowed us to use the wonderful facilities at no cost and while it was suggested that we hold another of these nights for those members who did not attend, I doubt that this would be possible. The evening was well received by all and I was quite delighted at the level of enthusiasm while we went through the set up process, tested equipment, assessed car parking, seating, lighting, kitchen and toilet facilities etc. Clearly whatever decision is made by these members at our next General Meeting, it will be a well informed one. Sunday 15th January social barbecue was a relaxing start to the year, with cool bay breezes at Jamison Park, Scarborough, easing this summer's heat. Lots of discussion about the year ahead, sausages, rissoles, salad, desert, photographing bubbles to the delight of the other park partygoers and even a lesson in Fijian culture and how to fold a grasshopper from a palm leaf, made the day a real treat. December outing goal was to capture Christmas carols in-the-community. It offered members a chance to capture images that portray the community carols experience. A number of local venues were chosen, so that members could concentrate on their own community. Scarborough offered packed crowds and all kinds of entertainment, food and summer Christmas experiences, by the sea. We have just completed our 60th Year, in 2016, culminating in the Annual Dinner and Awards Night. Our Club Patron and most Life members were present at the Club Lions Hall Rothwell for the "QLD Spit Roast" catered dinner and presentations on the 2nd December 2016. A great night was had by all 46 members who attended this special event. 4 major 60th Anniversary events were included - the Anniversary PCC inspired decorated Cake. The "Sixty Years On " historical records booklet compiled by Glenn Rossiter. The "Colour Photobook" complied by Glenn and Dave Lamb, which documented our Club Digital successes over the last 10 years with many PDI and records images. Finally the special 60th year Award medallions with lanyard going to all major Grade-section winners. The array of medallions and perpetual trophies was quite amazing. Finally after the Cake cutting ceremony, A 2016 Winning Prints display was mounted and a Winning 2016 PDI Digital Image Audio-Visual was presented. Many Thanks to the 2016 MC team and Congratulations to new incoming MC team members for the future.